Two achondroplastic children with ventriculomegaly are reported. The patients had no signs of increased intracranial pressure, but in one blindness had previously been detected by the parents. Neuroradiological examinations showed ventriculomegaly in both. Intracranial pressure remained at high levels (20–55 mmHg) preoperatively; ventriculo-peritoneal shunting was performed in both cases, and postoperatively levels fell to normal (5–16 mmHg). 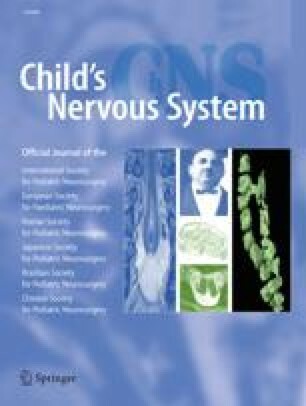 The need for the treatment of ventriculomegaly seen in achondroplastic children is analyzed on the basis of these two patients, with a brief review of literature.